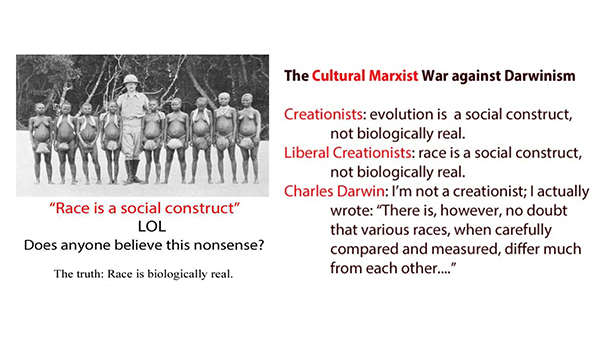 The main thesis is stated as: Todays proponents of racial hierarchy are making their case by misinterpreting research on the human genome itself. Much hand-wringing ensues over the fact that information on human genome can be used to bolster and support viewpoints other than those approved the Times editors and readers, and presumably held by most of the people in academia doing the research on human genetics. Well actually the people making this statement haven't misinterpreted any data: the science does show that Europeans are unique in their ability to metabolize lactose efficiently as adults. They have just incorporated it into their rhetorical pitch. The tougher problem is "should hate facts be allowed"? The left is having a very hard time dealing with this. The left has enforced an orthodoxy in the Social Sciences for at least 50 years that we are all essentially the same, until culture molds us. This is sometimes referred to as the "blank slate" theory. A very well respected (read: left leaning) professor and author wrote a book on this that is excellent reading, particularly for your Leftist friends. 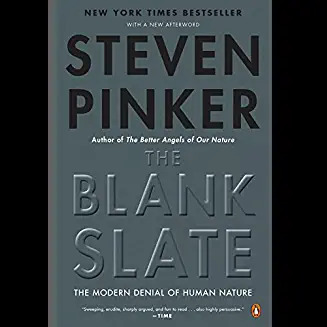 In it he shows who created this theory, and how hard sciences, like genetics, have pretty much proven that the "Blank Slate" is wrong. And, more and more advances in genetics are pin-pointing the genetic basis of various traits, including "liking milk". This is all very hard for the Tards. The Social Sciences are especially important to Leftists, all of their programs for remaking the world start with some Social Scientist writing a paper. But, if more and more we learn that it's not "social malfunction" or "inequality" that causes things like low test scores, but genetic capability - well that's devastating for the Left. What's the excuse of remaking all of society? So, this article is an extended vamp on the unfortunateness of "hate facts" and that science is being understood by the barbarians outsides the gates of the ivory towers, and being "misused" by them for their own purposes. Subtitled: The Modern Denial of Human Nature it might better be subtitled: The Leftist Academic Denial of Human Nature. Charles Murray was right. This book is hated, but the results have been duplicated many times now. One interesting book was this one, which expanded Murray's thesis to the rest of the world. This book is really hated by Leftists, and explains why "sh*th*l* countries" remain so. The Times article includes this image, as part of collage of horribleness. 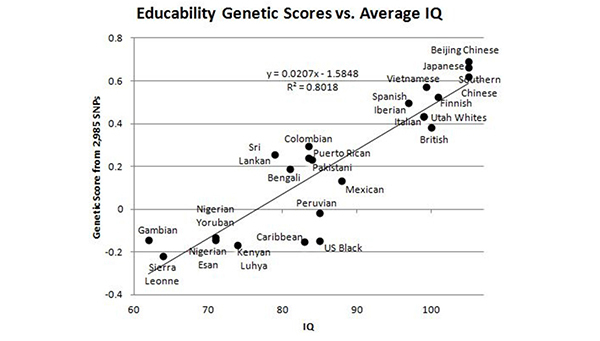 Now we have a genetic test that correlates very closely with IQ test scores, which correlates with life success in America and national wealth globally. Great care should be taken in communicating results of these studies to general audiences. says John Novembre, a University of Chicago evolutionary biologist, and author of the "milk genes" work. says. Already, some of those audiences are flaunting DNA ancestry test results indicating exclusively European heritage as though they were racial ID cards. All in all it's an amusing article because it points out that the Left are clearly not "the reality based community" as they have fashioned themselves, but are now fighting to maintain science-fiction ideas of the 19th and 20th century in the face of accepted science.